As I read the stories told by Christians, most often women, who have been the victims of abuse. I am dismayed to hear over and over again how their pastors and churches told them that they must give their abuser opportunity to repent, to go to counseling, to try to reform himself, etc. Some victims are even condemned by their fellow Christians if they want to initiate divorce proceedings. They are told that they must be patient and forbearing, and verses such as that quoted above are recited to them. In abuse cases this is nonsense, and it is dangerous. Furthermore, such counsel most often totally ignores the context of the victim’s relationship with the abuser. Simply put, typically the victim has been enduring the abuse for years – 20, 30 or more years! And now she is told that she must “try” being patient, such patience being a mark of real faith and pleasing to God. I really hope that our readers can quickly see that this is lunacy. Abuse victims, and in particular Christian abuse victims, are probably some of the most forbearing and patient people you will ever meet. When you hear their stories and learn of all of the horrendous things they have endured, you marvel at their strength. How in the world have they been able to endure? I don’t think I could have. The pressure on them is incredible and you can feel it pressing down on you as you hear them tell you what their life has been like for so long. So, when they finally go to a pastor or some church leader and ask for help, forbearance and patience has almost always been performed to the fullest. Insisting that they “try being patient as Christ is patient with us” is a foolish and damaging exercise doomed to fail at the best and to cause much more suffering and injury and perhaps even death at the worst. Of course, since most Christians, pastors, and church leaders are woefully uneducated in the nature and tactics and effects of abuse (and very arrogant as well), all of this never enters their mind. They don’t ask how long it has been happening because to them the very concept of something so evil and longstanding is unthinkable. 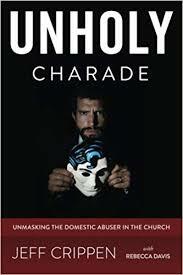 Most Christians, you see, live in an imaginary world that never intersects with the world the abuse victim inhabits. Or at least they think so. So let’s not be guilty of telling these victims that they need to try to exercise more patience with their abuser. After all, I think that God Himself would agree that 2 or 3 decades of terror is quite enough to qualify as forbearance. Job 6:11-13 ESV What is my strength, that I should wait? And what is my end, that I should be patient? (12) Is my strength the strength of stones, or is my flesh bronze? (13) Have I any help in me, when resource is driven from me?